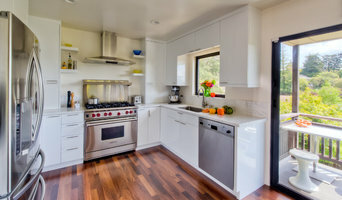 Bay Area's Award-Winning Building & Home Designer | Best of Houzz! 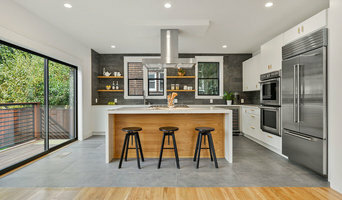 Levitch Associates, Inc. has steadily increased the span of its reputation, with over 1,000 projects built and a body of work that includes residential remodels, complex additions, new homes, light commercial, and industrial projects. Our personal touch, cultivated since 1960, lends itself to the warmth and good nature our clients prefer in their projects. From designing to building your project, we realize the importance of our relationship with you. We pride ourselves in completing any project with skill and seamless grace. As a family-run business, Levitch Associates, Inc. has a rich history with its staff. Comprised of architectural assistants, draftspersons, office personnel, highly skilled carpenter foremen, laborers, and a select group of experienced subcontractors, the staff has increased and diversified since the initial handful of pioneers. In the 1960’s, Edward Levitch and a handful of employees decided to approach architecture in a radical and innovative way. By combining architecture and construction into a single process, they began to practice what is currently known as Integrated Architect-led, Design-Build. For 24 years, Edward Levitch used his extensive experience and inexorable work ethic to cultivate a successful business. In 1984 the firm incorporated and his son Maurice joined the family business in an official capacity. Both Edward and Maurice Levitch are long-standing members of the American Institute of Architects, an organization dedicated to the highest standards of professionalism, integrity and competence. We are architects of homes. Our projects range from small remodels to large scale residences. On every project our mission is to collaborate with our clients to understand the unique context of their project, and together create an inspirational, sustainable, and lasting addition to the built environment. 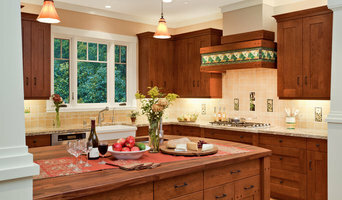 WA design was established in 1985 by David Stark Wilson, AIA. Our design philosophy emphasizes the inter-relationship of building and site. Each design begins as a considered response to a set of criteria dictated by the site and client. Although progressive in approach, our designs draw heavily on the vernacular building of the area in which we are working. Ordering principles for a given project borrow from their context and often metaphorically relate to the natural landscape. This connects our buildings to their specific site and circumstance in a meaningful way. A crucial component of the overall design objective on each project is to apply the design of sustainable and solar features as an integral component of the architecture. From initial building siting concepts through building organization and material selection, each phase is approached with sustainable ideas at the forefront of the design decisions. 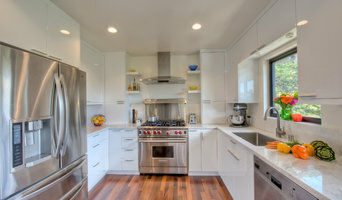 The Home Co. is an award-winning provider of real estate solutions in the San Francisco East Bay Area. 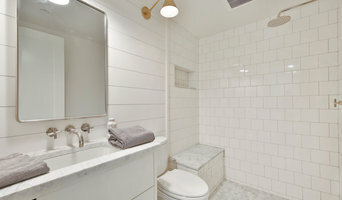 Founded in 2007, The Home Co. has grown into a vertically integrated company offering real estate buying and selling services, home renovation design and project management, property staging, investor/developer services, and more. We have offices in Oakland and Lafayette to accommodate clients throughout Alameda and Contra Costa Counties. Our clients come to us dissatisfied with what is. They have tastes and convictions, budgets and constraints. They live in neighborhoods as well as houses. They envision a more workable life. We have the skill to transform challenging spaces into living solutions. We’re practical, realistic, honest. We ask a million questions: How do you want to live? What do you need? Working together, we free up possibility. We capture your dream and give it dimension. The process is often as beautiful as the result. AND Interior Design Studio is dedicated to creating unique environments that reflect our clients' individual styles. Our job is to add, edit and refine while ensuring that your design preferences are always at the core of our work. Whether you're constructing your dream home from the ground up, redesigning an existing residence or simply looking to freshen the decor in a single room, AND Interior Design Studio will help realize your vision. Like you, our clients are people with busy lifestyles and a keen appreciation for homes that are both artful and functional. Whatever your style — sophisticated and elegant, or relaxed and casual — AND will define and achieve your design goals within your budget. Our close collaboration with you will produce the inspiring environment you've always wanted. Contact us for your next project! Since 1980, McCutcheon Construction has delighted homeowners throughout the Bay Area with fine homebuilding and remodeling that sets the standard for high quality craftsmanship. As a leader in green building, we collaborate with clients, architects and designers to create beautiful and enduring spaces that are healthy, energy efficient and sensitive to the environment. Our team of employee owners has a vested interest in creating an excellent customer experience based on integrity, open communication and trustworthy business practices.